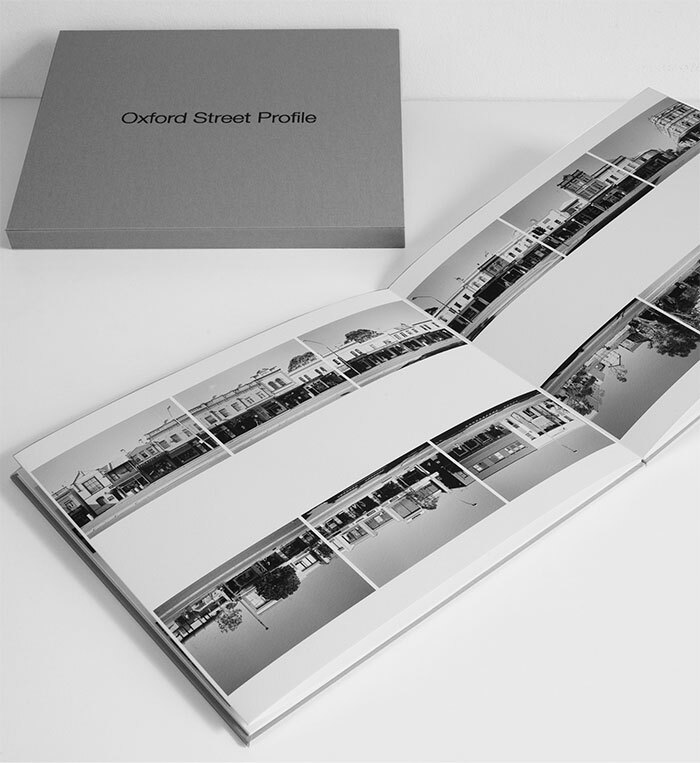 Oxford Street Profile (OSP) is a visual narrative of a Sydney street by photographer Philip Quirk. How do we relate to the streets we are most familiar with? I believe people use the street for their specific needs, whether it is for business, pleasure, shopping or traversing the suburbs. They become familiar with the street and presume it will remain the same, but change is inevitable and ongoing. OSP argues that the more we use our streets, the less we see them as they are. In 2009 I set out to photograph every building on both sides of Oxford Street from Queen Street, Woollahra to Taylor Square, Darlinghurst. The purpose of this documentation is to observe Oxford Street from street level, to note the transient human interaction on the street, and to record the street as it is in the early years of the 21st century. OSP is about a Sydney street today, which will be relevant to future generations considering the built environment and the evolving nature of streets like Oxford Street. OSP links the fundamental structures of the street, defining their spatial relationships in a typology and is a functional example of a place in time. Philip Quirk is completing a Masters by Research degree at COFA UNSW. He is the author of four books including Wildlight-Images of Australia and Farm-Life on the Land, Reed Books. Public Gallery Collections include: Australian National Gallery Canberra, Art Gallery of NSW, Parliament House Gallery Canberra, National Library of Australia Canberra, South Australian Art Gallery, Queensland Art Gallery, Tasmania Museum and Art Gallery, Albury Regional Art Gallery, Artbank, Horsham Regional Art Gallery and Monash Gallery of Art Melbourne.